The eleventh of March came around again. On this day eight years ago, we experienced a nuclear disaster of an unprecedented scale here in Japan. The disaster generated great “cracks” in the traditional thinking of the Japanese, who once worshiped nature as divine. In Tantric Buddhism, a Buddhist school that originates from the ancient philosophy of India, the world is understood as consisting of five elements, earth, water, fire, wind, and emptiness: as rain falls, the sun shines and the wind rolls around the earth, life emerges out of wonder (emptiness). We humans are allowed to live as part of this great circulation. The harmony of these elements has allowed the existence of the aesthetics of wabi-sabi and the serene attitude toward universal impermanence. The nuclear disaster shook this philosophy of harmony and circulation to its foundations. 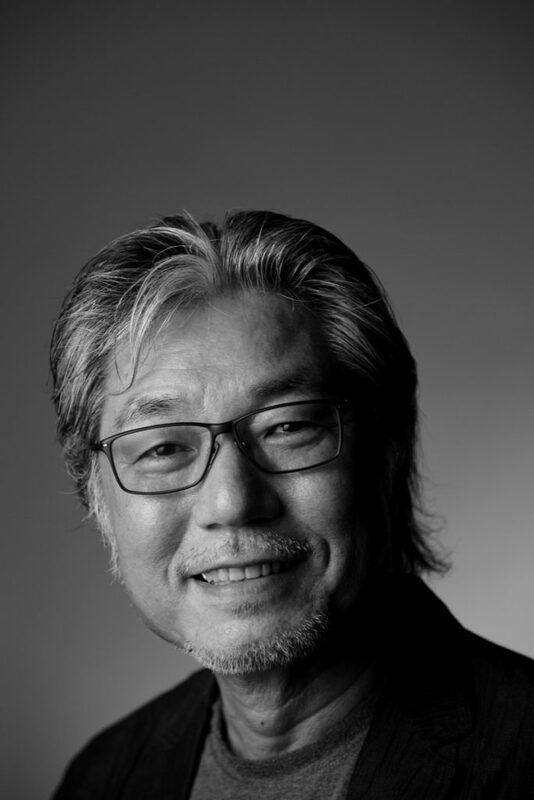 When he was a little over 20 years old, Sumitomo Tatsuya returned from the U.S., where he had been studying, to his hometown, Tokushima, located in the western part of Japan. He then started to issue a town magazine, Awawa, while working part-time. The magazine was the first of its kind in the city, where a rural newspaper that enjoyed a market share of more than 90% and private radio and TV stations were funded by the same corporation. This was a very problematic situation from the viewpoint of information distribution. His magazine Awawa allowed some fresh air into the situation, and created a new circulation of information between the media and the people in the town. He made good use of his gift of keenness in organizing a civic movement to realize a referendum on the Yoshino River. The national government had planned to build a dam on the Yoshino River, which runs through Tokushima, and opposing citizens proposed a referendum to settle the issue. It was the first time in this country that a referendum forced the nation to give up a gigantic public works project. To bring the referendum to reality, he helped circulate information between the citizens and the government. As the information society emerged, he discontinued publication of the town magazine and decided to establish a new business—a mobile supermarket. With fewer children and more elderly adults, the rural areas were in decline, and groups of “people with shopping difficulties” emerged (his parents included). Mr. Sumitomo decided to tackle this problem. He launched a mobile supermarket business, using a small truck. A challenge with such a mobile sales business was how to deal with the products that remain unsold. Collaboration with local supermarkets enabled him to overcome this problem. He performed a thorough market survey by visiting local areas himself, and succeeded in establishing a business that sends out small trucks full of products to those with shopping difficulties in rural areas, as well as to those with similar problems newly emerging in city centers. The important point about this business is that it is different from mail order, which is a “one-way” business. In his business style, information circulates—customers have the joy of directly selecting what to purchase, and exchange smiles and conversation with the salespeople. 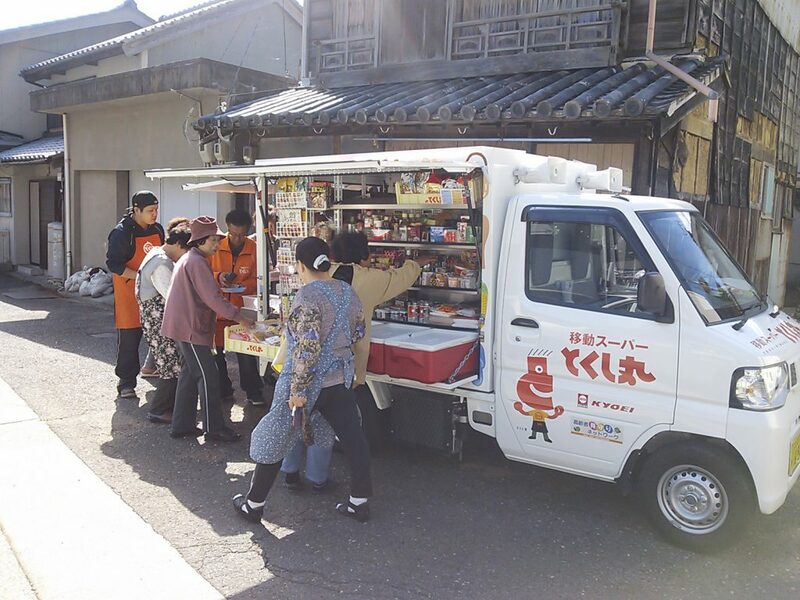 Named Tokushimaru, more than 380 supermarket trucks are now traveling around not only in rural areas in Tokushima but nationwide, including in Fukushima and Tokyo. He is firmly against nuclear power plants, which may destroy the loving harmony and circulation between nature and humans.